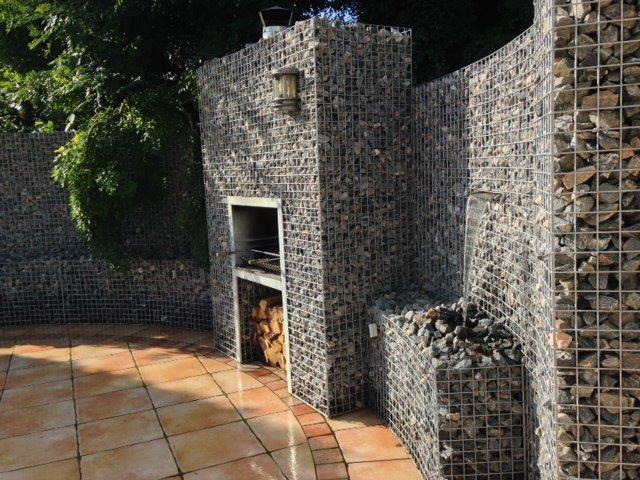 At Gabinova, gabions come in all shapes and sizes! As we manufacture all our gabions in our own workshop we have been able to create a special gabion: the round gabion! The non-galvanized mesh panels are rolled into a round shape and welded together. After applying sufficient spacers, the round gabions are then galvanized. This technique can also be used to create gabions in the shape of letters. This is a great idea for a company logo. It lasts for decades and requires no maintenance at all (see below). These gabions are available in different measurements. As we customize these gabions for each customer we cannot give a set price. Contact us for more information. 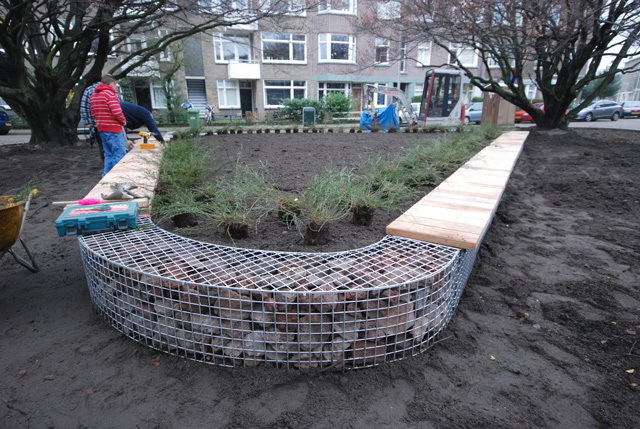 Round gabion with a customized seating area.